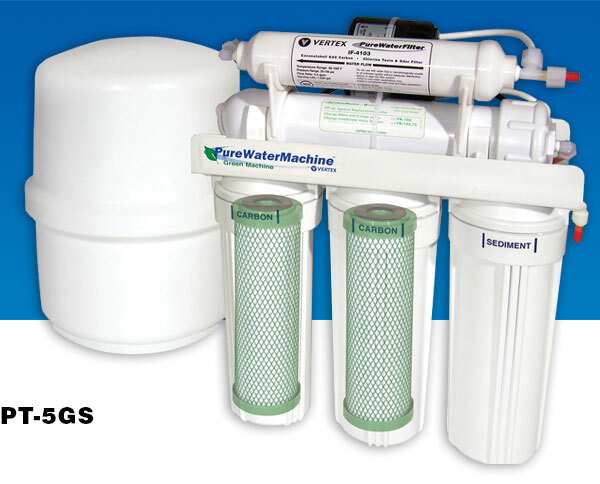 High Volume 4 and 5-stage undersink Reverse Osmosis filter systems specifically designed to reduce waste water to the drain by up to 85%. Both models use environmentally friendly Greenblock® filtration media that significantly reduce the carbon footprint when compared to traditional carbon filters. 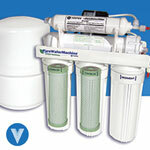 4 and 5-stage undersink Reverse Osmosis filter systems specifically designed to reduce waste water to the drain by up to 85%. 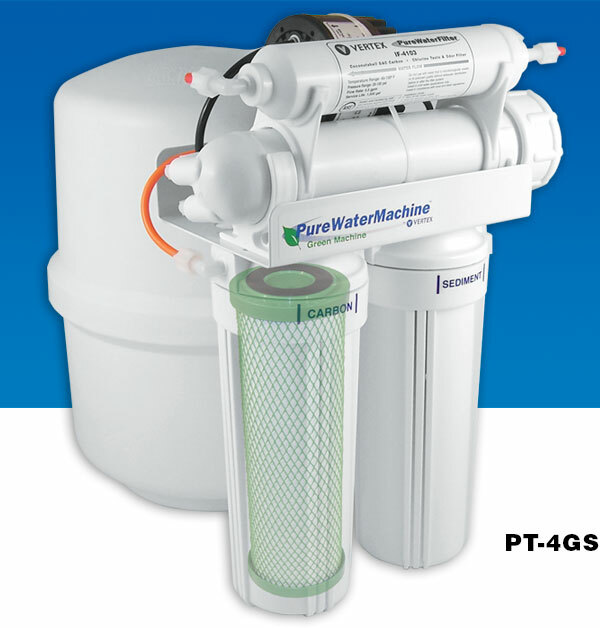 Both models use environmentally friendly Greenblock® filtration media that significantly reduce the carbon footprint when compared to traditional carbon filters. The NSF and WQA certified Greenblock filters are made using eco-friendly coconut-shell greencarbon™ that is manufactured using a special process that reduces harmful green-house gas emissions. The RO membrane removes an average of 95% of the dissolved solids from the incoming water, while sending up to 85% less wastewater to the drain using its new Energy-Recovery-Valve. The Green Machine Supreme fits under most sinks and makes clean, great tasting water whenever you need it, eliminating the need for bottled water and the negative environmental impact associated with it.